It's Angela here sharing with you another summer memory. I made this layout using Escape to Paradise collection, that was perfect for this page and I used few embellishment from the same collection. The lovely little face in the pic is my son Francesco having fun splashing everybody, that's why I chose 'Splashing' for my title. I used foam Alpha, so I've been able to bend a bit the letters, for a fun look. I kept on building the page fussy cutting strips of waves from a paper called exactly Waves and I arranged them at the bottom of the page. I slightly overlapped them and adhered with foam adhesive. Then, I insert in between the waves a few jumping fishes. In the center of the page I positioned the photo, creating a layer of paper, die-cuts and sticker and embellished around with sequins and jewels keeping a monochromatic feeling, using only shades of blue. Under the photo, I placed also a glassing bag that I filled in with other colored sequins. And voilà. the page is done! 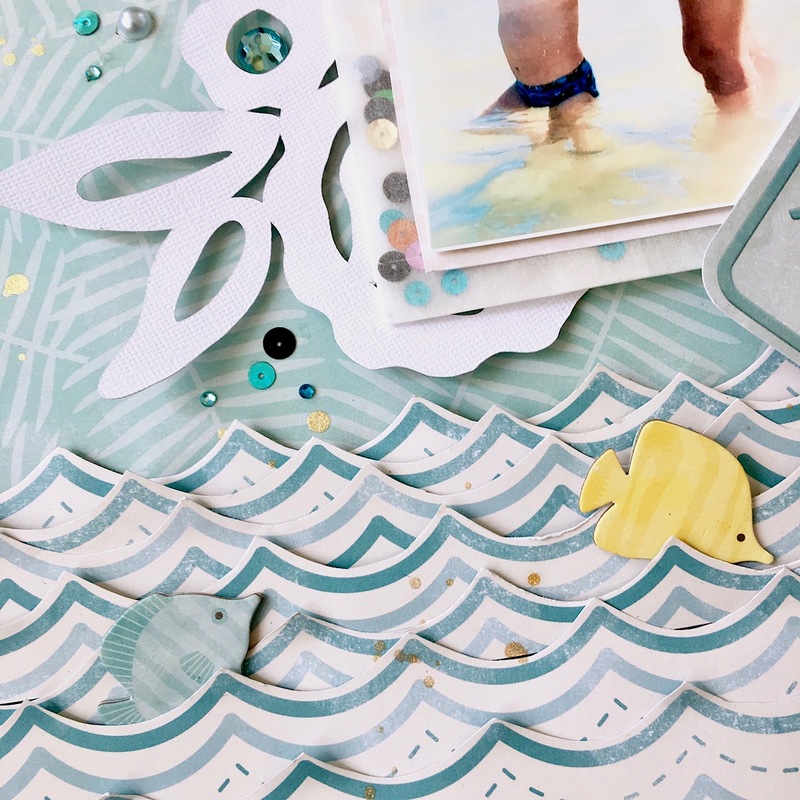 I hope you enjoyed this summery layout and thanks so much for stopping by. I'll see you soon. Love this layout! 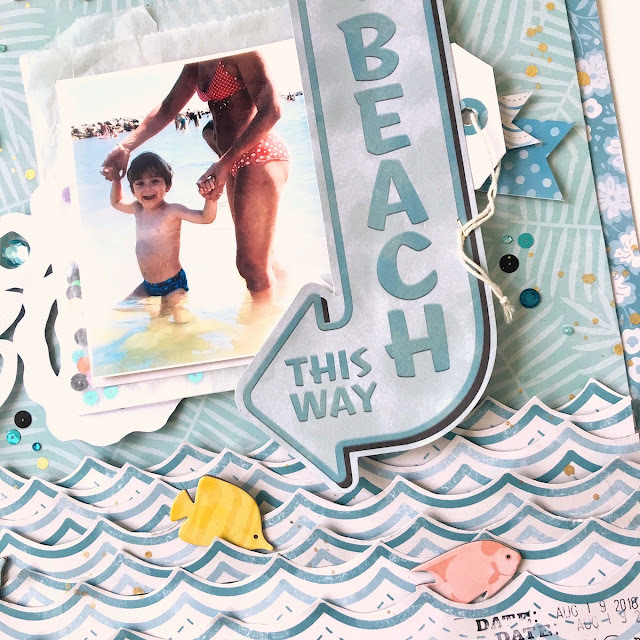 The title, the beach sign, the waves, the papers, the photo - everything about it is perfect!